Both these teams need points in this fixture. Milan come off an ugly first game in which they went from having the game in hand to losing a 2-0 lead turning that into 3-2. 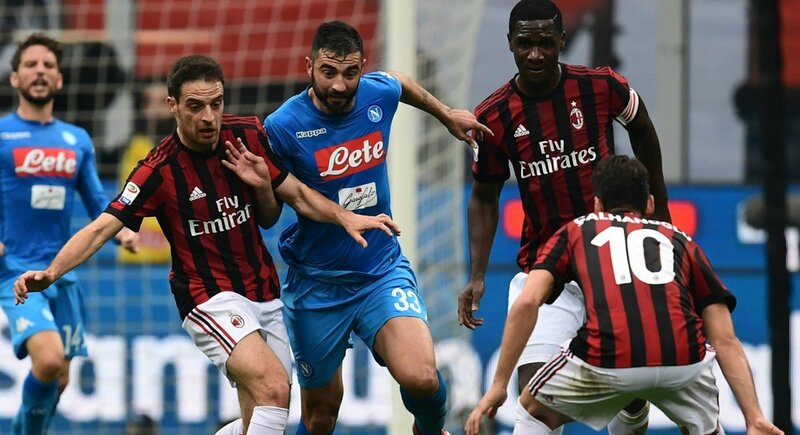 Napoli were lethal and took every chance that Milan gave them. Roma on the other hand had the usual hard time against Atalanta. They went 1-0 up, 3-1 down and managed a 3-3 draw to get a precious point. This game will be high attacking tempo and two hungry teams for 3 points. Nobody will settle for a draw here. The last 5 matches between these two at the San Siro saw Roma win the last 3 games quite convincingly. With Milan getting 1 win and draw. Roma like to play at San Siro and find this game free flowing and score at ease. They’ve managed an average of 2.4 team goals per game over the last 5. Their highest against any opponent away from Home. A very worrying start to the campaign for both these teams with both of them on a lonely point after 2 games. The disappointment for Inter is that there were huge expectations coming into this season that they would turn to a lock for Top 4 in Serie A with a chance to bother the Top 3 teams for something better. For Bologna, it is disappointing as they are a relegation battle side and they are confirming it in their play. Typically, this game has been a tough match for Inter but they do manage to win. 2 draws and 3 wins but with very low scoring margins. It’s never been a high scoring encounter and from the first two games neither one of these teams seem like they are prolific scorers. This looks like an under every single day of the week. One this Inter have to worry about is their lack of urgency towards stopping their opponent from heavily attacking their defence. Sassuolo and Torino (not the best in the business) both made a killing on counter attacks and constant attacking. Inter must change now if they are hoping to stay within reach at the top. They are already 5 points back on Juventus and Napoli after just 2 rounds of matches. A fixture that has been absent from Serie A predictions for 3 years, returns to the list. Parma have made it back to the Serie A after a 3-year absence and their campaign did not start in the best of ways. A 2-2 draw to Udinese after being 2-0 up and an average effort against SPAL that led to a 1-0 loss. Parma were always going to struggle in the big boy world and the Serie A this weekend is nothing to look forward to. 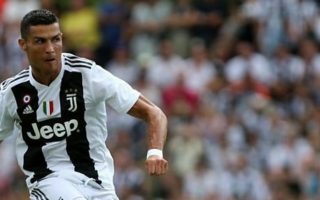 Juventus have won both games beating Chievo 3-2 in their opener and they dismissed Lazio 2-0 last weekend in their first home game of the season. With Champions League draws on Thursday, Juventus must remain concentrated on this fixture. Parma would love to create the upset and therefore Juve will have to bring out their guns for this game. Cristiano Ronaldo has not yet scored his first goal for the club. He would absolutely love to get that out of the way this weekend and we will insist that this is the right time. The last 5 matches between these two at the Tardini were all low scoring encounters with Juve getting 2 wins, Parma 1 and 2 draws. This will be fought out but Parma have to bring their A game. Obviously, Juventus are the stronger side but it will interesting to see if Allegri’s changes will keep the onslaught from happening. What a start for Fiorentina in their first game! We had predicted that the Viola would go out strong against one of their favourite opponents but 6-1 means that they simply destroyed a weak Chievo side. It was an absolute cracker from start to finish with easy flowing attacking football for Fiorentina. The home side simply finished each chance with extreme efficiency. They go into this game against Udinese that had a comeback 2-2 on the first day of the league and a 1-0 win against Sampdoria. Udinese have proved to us along the years that their effort sometimes wins games alone. They are extremely committed to their tactics. But it stops here as the talent falls short of the league’s best. Udinese is probably Fiorentina’s favourite customer. The last 5 head to head game between these two at the Artemio Franchi were 5 straight wins for Fiorentina with an abundance of margin. The streak extends to 11 games dating back to 2005 and incredibly, Udinese have only won 1 game in this stadium since 1998! During the last 5 games, Fiorentina have scored an average of 2.6 goals per game whilst receiving only 0.4 per game in the process. A safe margin of 2 goals per game. Totally impressed by what we’ve seen in this Atalanta team. 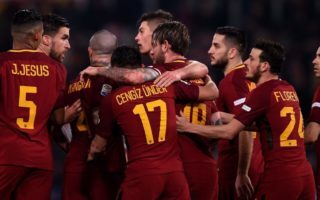 Their match against Roma showed us what a great side they are and how easily and deadly they can be on counter attack. They had Roma 3-1 down in 30 mins of play and were it not for Olsen’s great display it could have been worse. The match ended in a draw but Atalanta should feel happy with their performance. This came after absolutely rubberstamping lowly Frosinone in a dominant match. 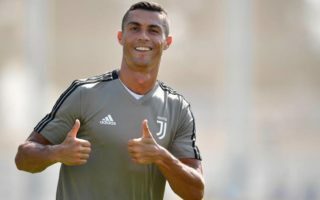 Playing Europa League on Thursdays will dent their energies, especially in the beginning of the season when they are struggling to get to match fitness. Gasperini has already highlighted that their squad would probably not be able to handle all competitions with their current squad. It’s tough to hold up with less than 20 decent players. Cagliari on their end were a little unlucky with their game against Sassuolo coming off with a draw as Sassuolo scored a 90+9” minute penalty from Boateng. Contrary to their first game, Cagliari performed really well and 2-1 would have been a fair result. The last 5 Bergamo have seen 3 wins for Atalanta, 1 win for Cagliari and 1 draw. 4 of those matches had a goal in the first half and the average number of corners per game have been 7 or more. 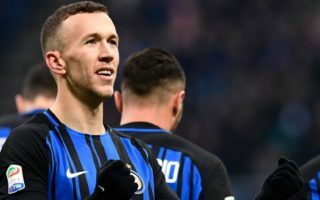 Both teams are expected to field a full squad bar any Europa League injuries for Atalanta. Chievo come off a horrible game against Fiorentina whilst Empoli took an away loss to Genoa. Both teams are struggling to get their shots on target whilst producing some good attacking displays. The Bentegodi’s last 5 matches between the two were shared with 2 wins for Chievo and 3 draws. No injuries for both sides meaning they come into this game with a full squad. Lazio are a strong team. Unfortunately, they got the two most difficult games of the season to start their campaign. The forces of Napoli and Juventus were too hard to contain and they ended the games with two losses (2-1 and 2-0). Having said this, Lazio play some good football and have a lot of potential to end their campaign in 5th place. With players like Milinkovic Savic and Immobile, they could aspire to greater things. Frosinone are simply the joke of the Serie A. They have scored 0 goals in 2 games and the prospects do not look good for them here. Lazio will be with a head full of steam to get on the full 3 points here and therefore expect an onslaught. They are heading for relegation. There is only one previous match up at the Olimpico between these two and it ended with a 2-0 Lazio win. This will end up no different. Lazio will play their effective 4-3-2-1 with Immobile as lone striker upfront. Sampdoria’s first game of the season saw them marginally losing by 1-0 away to Udinese. They did deserve to lose however they showed some good signs of good football. This is encouraging. Napoli on the other hand had a resonating comeback performance against Milan and won the game 3-2 after being 2-0 down! Impressive comeback to say the least. There are two ways of looking at Napoli right now. Opponents are finding it easy to score, however Napoli are simply a goal machine. They really need to settle on the defensive end but on the offensive end they are simply lethal. Ancelotti has had the desired effect on this Napoli side that was douted in Summer. If they win this one, we are quite sure Napoli will again be a thorn in Juventus’ side. With Callejon, Milik and Insigne upfront, there is guaranteed quality and lots of speed. On corners and set pieces they are also a piece of work. In the last 5 matches at the Luigi Ferraris, Napoli have been quite dominant, winning 4 of 5 with a lone draw. Napoli have scored an amazing 3+ goals per game at this stadium, probably the most in any away stadium for them. The Mapei stadium welcomes back a gutsy side that salvaged a 2-2 draw on the 99th minute away to Cagliari. 4 total points from 2 matches and we guarantee that is above expectations for the black and greens. Genoa’s first game of the season also went well. They had a good 2-1 win against Empoli with total control over the game in most stages of both halves. Criscito had a fantastic game with 2 assists and all players are healthy for this fixture. It looks like the managers have also been planning to field the same formations as last weekend. This is a match that Sassuolo have historically felt extremely comfortable with. Winning 3 of the last 5, 1 win for Genoa and one draw. Sassuolo are good at home and we are sticking with them. The Granata come back home after a valiant comeback against Inter at the San Siro last Sunday. 2-0 down at Half time and looking dead, they came back and almost snatched a win at the death. It ended 2-2 but Torino come out of this believing in their ability to display well planned attacking football. They only lost to Roma in the last 3 minutes of the first game and the Inter game confirmed that they are a great side this campaign. The action returns to the Stadio Olimpico this Sunday and they host SPAL who are also coming off a good result winning 1-0 at home to Parma. They will want to put on a good display here to try to continue their good run and their 6 points from two matches. There is only one previous encounter in Turin between these two sides and it went in favour of the home side. This weekend, we think Torino will pull it off again.